THE AFTERMATH of a recent incident at National Taiwan University in which Taiwanese independence demonstrators protesting the Sing! China concert held on the campus of National Taiwan University continues to unfold. This is with regards to continued scandal regarding police responses to the incident, suspicions about whether pro-China demonstrators were deliberately mobilized by China for the event, Mayor Ko Wen-Je’s continued insistence that the Sing! China concert was a success, as well as questions about whether shell companies were used by China to organize the event. 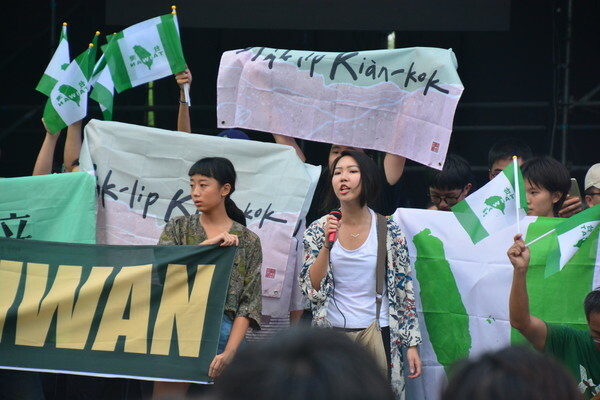 Namely, pro-independence demonstrators were demonstrating the fact that an event held in National Taiwan University of all places referred to National Taiwan University instead as “Taipei City Taiwan University,” and that any references to Taiwan’s independent status from China were censored from the event despite the event taking place in Taiwan. Sing! China is a Chinese reality television singing competition popular in both Taiwan and China. However, unsurprisingly, the show goes to pains to claim that Taiwan, Hong Kong, and other countries and territories which China claims are unequivocally parts of China even when this has to stretch the truth. For example, previous iterations of Sing! China featured a Paiwan competitor from Pingtung county that referred to herself on the show as a Paiwan from the Pingtung area of Chinese Taipei, bizarrely enough, rather than claiming that she hailed from the “Taiwan province” or “Taiwan area” of China. Given the show’s popularity in Taiwan, it is not improbable that China attempts to use Sing! China as a soft power initiative within Taiwan, in order to claim Taiwan as part of a greater cultural China. As a result, it is not surprising that the Sing! 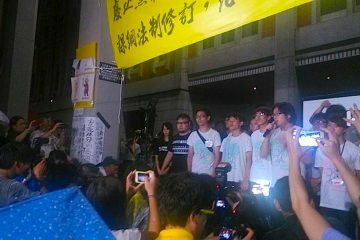 China event held on the National Taiwan University would prompt controversy and demonstrations from pro-independence youth activists. However, what drew controversy was that pro-China demonstrators from groups with a history of political violence against critics of China as the Chinese Unification Promotion Party and Concentric Patriotic Association, as well as ties to organized crime, attacked pro-independence demonstrators, as a result of which four students were sent to the hospital. Chang Wei, the son of Chang An-Lo, the leader of the Chinese Unification Promotion Party, the former leader of the Bamboo Union gang, Taiwan’s largest organized crime group, and a former killer of political dissidents on behalf of the KMT, and who led attacks by the Chinese Unification Promotion Party on Hong Kong student activist Joshua Wong at Taoyuan International Airport, was present on-site and also seen threatening students. What is a question, however, is why police were so slow in responding to physical attacks by members of the Chinese Unification Promotion Party and Concentric Patriotic Association on students. Police took forty minutes to arrive, something that National Taiwan University administrators claim was a result of university policy not to allow police onto campus. Police were further accused of taking a light hand to violent pro-China demonstrators. Especially given recent actions by police aimed at restricting the ability of pro-Taiwanese independence groups to freely demonstrate or express their views in accordance with their right to freedom of speech, this has added weight to the view that police are strangely harsh towards peaceful Taiwanese independence demonstrators but allow pro-China demonstrators with a history of political violence to get away with political violence. Allegations have also been made of police working with journalists from the Want Want China Times to explain their lack of inaction and drum up sympathetic press coverage, with leaks from Want Want China Times’ internal media group. Further suspicions have been raised regarding connections between some of the attackers on pro-independence demonstrators and the Taipei police. In order to defend themselves from such charges, police have subsequently announced that they will take steps to crack down on the Bamboo Union gang by raiding businesses run by the Bamboo Union gang, but some view police announcing this ahead of time as a way to give the Bamboo Union gang ample time to prepare for possible raids. Some suspect this to be a sign of collusion between Taipei police and Taiwanese organized crime. 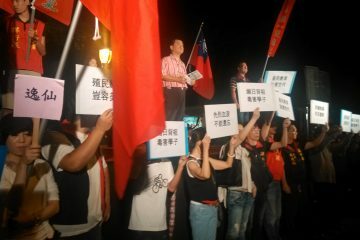 This is in consideration of that police have sometimes sided with recent demonstrations against the Tsai administration’s pension reform plan for public sector workers that have been led by members of the pan-Blue from military backgrounds because they, too, stand to be affected by pension reforms. Police have also historically been seen as pro-KMT and pro-China because of a history of acting as its enforcers during the martial law period, and because collusion between members of police and Taiwanese organized crime is not unheard of. 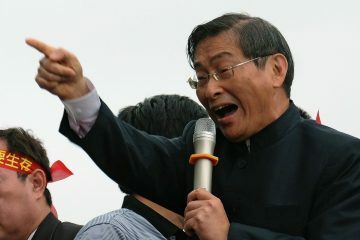 Still others, however, interpret this as police signalling to other organized crime groups ahead of time that in their upcoming crackdown, they will only be targeting the Bamboo Union gang because of its ties to the Chang An-Lo and the Chinese Unification Promotion Party, and not other organized crime groups. This would be in order to prevent social order. 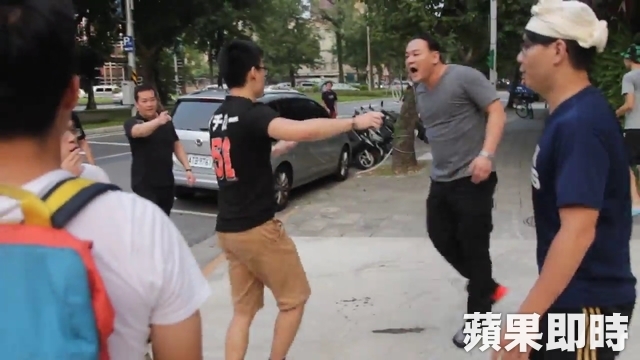 Unsurprisingly, public anger has followed suit against the Chinese Unification Promotion Party and Concentric Patriotic Association for their use of violence against students. Some lawmakers demand investigations into whether the Chinese Unification Promotion Party and Concentric Patriotic Association are collaborating directly with China in order to target individuals that China considers its enemies in Taiwan, some also suspecting that these groups were originally mobilized to fill up the crowd for the Sing! 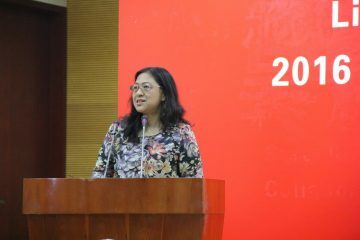 China event and ensure that the event seemed to be a popularly attended one. Some urge the prosecution of these groups under treason laws if this is the case. It has been feared for some time that assaults by the Chinese Unification Promotion Party and Concentric Patriotic Association on Hong Kong student activists visiting Taiwan at Taoyuan International Airport followed by similar assaults on Hong Kong student activists by pro-Beijing mobs after landing at Hong Kong International Airport on their return trip marked the beginning of joint collaboration between pro-China groups which engage in political violence between Hong Kong, Taiwan, and China. The use of violence at the Sing! China event may also be a case in point. Some warn, however, that such attacks may be intended to actually smear pro-independence groups by luring them into also using violent reprisal. Nevertheless, following the event, Taipei mayor Ko Wen-Je has continued to claim that the event was a success, as a product of Ko’s initiative to conduct city-level exchanges with Chinese cities. Indeed, the Sing! China event only took place in National Taiwan University as a result of such initiatives by Ko. Ko previously prompted controversy by claiming that individuals in both Taiwan and China are family and share a common destiny across the Taiwan Straits during past events held jointly with the Shanghai city government and also for restrictions on Taiwanese flags at the Taipei 2017 Summer Universiade, in which Taiwan similarly competed as “Chinese Taipei” despite the event taking place within Taiwan. This may contribute towards growing anger against Ko by pro-Taiwan civil society actors and the Taiwanese public at large, despite that Ko was previously viewed as a pro-Taiwan politician and was put into power in 2014 with the support of post-Sunflower movement youth activists. With rumors of presidential ambitions by Ko aflutter in past months, given Ko’s high approval rating, this may contribute to the view that Ko is a politician whose unpredictability or political stubbornness could actually prove dangerous to Taiwan’s ability to maintain its independence from China. 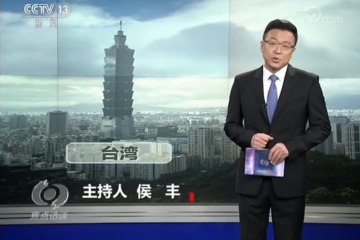 Questions have also been raised as to why the Taipei city government and the Mainland Affairs Council allowed the event to be held in Taiwan. 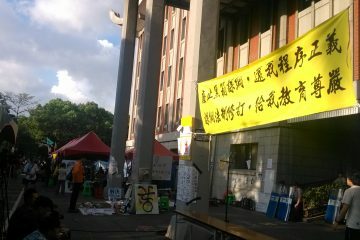 The National Taiwan University administration and the Taipei City government have suggested that it may not have been fully aware of what the event was for when National Taiwan University rented out sections of its campus to the Mu Chieh Ta Company responsible for organizing the event or was misled about the event. 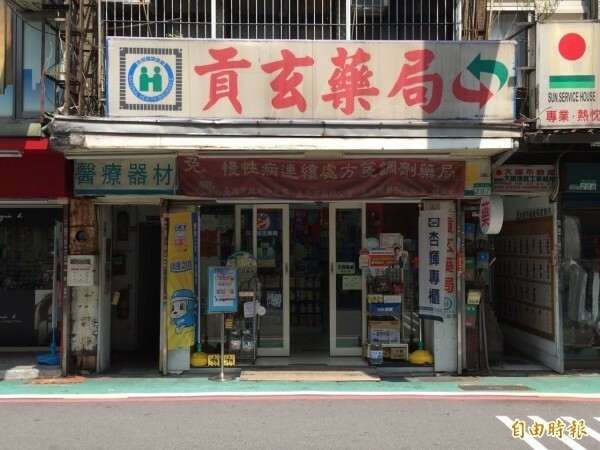 Mu Chieh Ta Company is further accused of being a shell company for China, in consideration of irregular paperwork, and the fact that there is a pharmacy at the site of the company’s registered offices in Zhongshan. Many mysteries remain to be cleared up about the Sing! China event then. Political controversy regarding the event is far from over.